3 years ago today I was passed the torch of The Friday 56 from Storytime With Tonya. Giveaway will follow after our weekly 56 post. Again I am stuck on the same book. "Uh," said Des, anxious to show that he did, at least, know the first thing about parenting, "you're not meant to put them on their stomachs." The woman fixed him with a strict look. "Babies with sore tummies sleep better on tummies. You watch him. He not die." Winner receives ebook of choice via Amazon. Oh, I forgot - Happy Anniversary on the hosting! Congrats on 3 years as hostess! 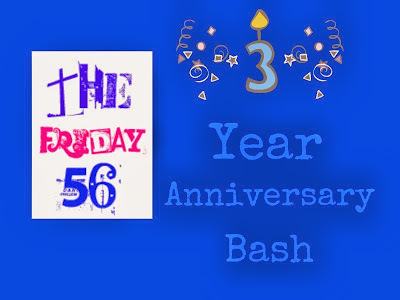 Congrats on 3 years with this linky party. It is always nice to read about new books and authors. I'd love to be entered into your give away. Thanks for hosting. 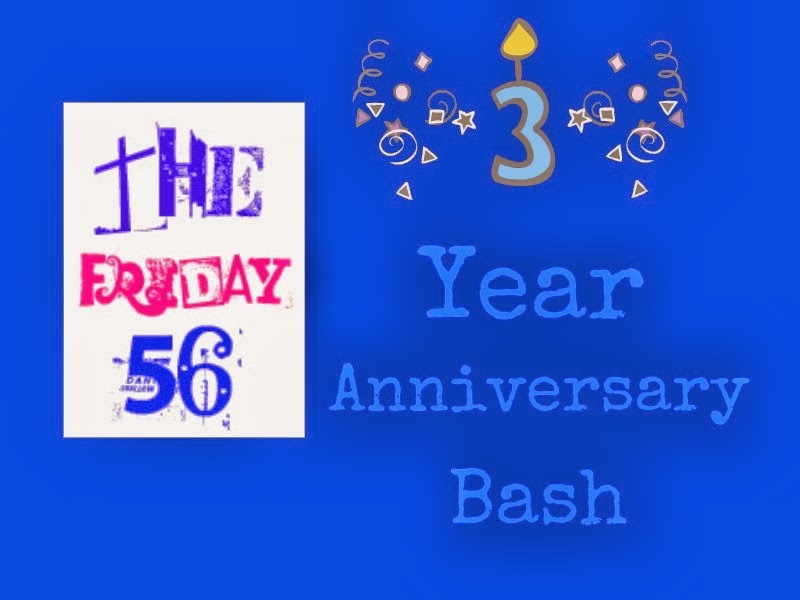 Congratulations on your 3 year anniversary as host of The Friday 56! As you know, I have become a regular and enjoy this fun meme. All the best! 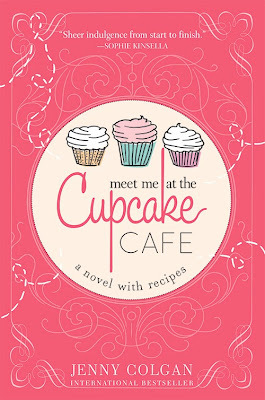 I like the sound of your cupcake book....as for the giveaway, I'm going to pass. What was I thinking? I already have too many books! LOL Congrats on the three-years! Happy 3 years and thank you for the giveaway! Sometimes that happens to me - I get stuck on a book because of lack of reading time, nothing against the book though. Happy three years! I'm new, and I found you through Linda's blog, Crafty Gardener. I would have played the 56, but I don't know what you mean by linking the URL--link to what? The comment/quote post? Congratulations on your anniversary! It possibly can't have been that long, surely ;) I joined your giveaway! I hope you do not mind I mixed my Friday 56 in with other book related things on my post. 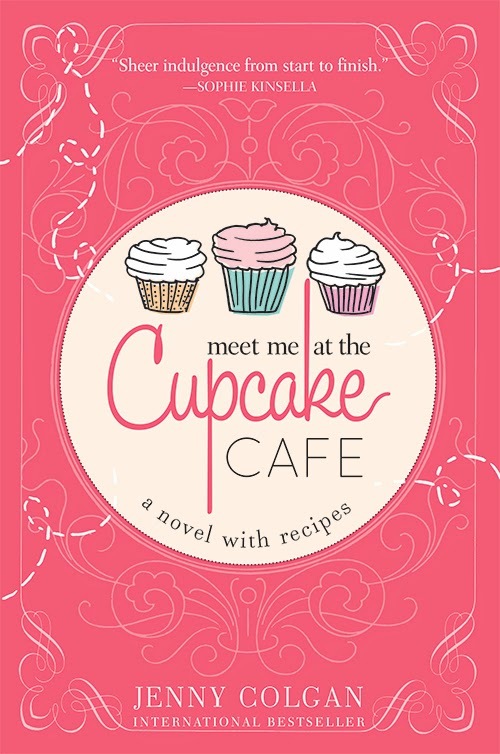 My Amazon ebook wish list is filled to the max. I would have trouble choosing just one book! Has it been that long? I remember that day very well. Congratulations! Happy Anniversary, Freda. I might choose Michele Mannon's "Knock Out." Happy anniversary! I'm not sure what I would pick hmm maybe something mystery, I really don't know yet :) I have participated in your blog hop once but just haven't been blogging much these months but hope too in the future. OMG, has it been three years already? I remember when you took this one over. I didn't participate this week (it has been awhile) but I need to get back to posting with you again, I do miss it. There is a Joe Hill ebook that I've had my eye on.